Now for the brief sale pitch…. Try non-caustic No Thrush, the First Ever Dry powder to get you out of the thrush-cycle for good. I guarantee the story below will make you Barrel Racers, Ropers, Jumpers and Eventers take a closer look at your horse’s feet. We are once again in the midst of thrush season. This is not a sales pitch, it’s a true story. It can make a difference to so many of you. The attached video is included to give you the visuals. Long story short – if your horse has a heel crack, there is a problem. Thrush is a MUCH bigger deal than most think. ** Early this Spring I was manning a No Thrush booth at a big barrel Race. I was chatting with a pretty young woman about how and why heel cracks are such a problem. She was clearly a big hitter in the racing world, as all the little girls nearby were goggling and pointing in rapt attention. The woman and I finished up our chat and she said she would take a look at her horse’s feet when she headed back to the barn. I asked her to show me. At the barn we picked up the front feet. They both looked great. No cracks, no problems. I asked her to push on the bottom of the heel bulbs and they were nice and firm. We picked up the back feet and there they were. Narrow but deep cracks in between the heel bulbs. There was no visible thrush whatsoever – none of the black goo in the clefts that most people associate with thrush. In fact, she didn’t see any of the black goo so thrush was the furthest thing from her mind. I asked her to push on the bulbs. They were soft, almost squishy. Finally, I slipped the hoof pick inside the crack and it came out black and smelly and gross. I nodded, “Think about it. Your horse has infected heels. That means they are soft and sore. When you start your run, you are expecting him to plant that sore, infected heel into the sand and make a hard turn. He won’t do it. He can’t. Instead he will only plant his toe, which is not good enough to hold the torque of the turn. His feet will slip out of the sand. I’m guessing he is taking his turns too wide?” I asked. She gritted her teeth, blew out a frustrated sigh, nodding. We dusted her horse’s feet twice that day, twice the next day, and once on the morning of the 3rd race. She and the horse came in third – in the money for the first time in ages. Obviously No Thrush powder didn’t “regrow” the heel crack in 3 days. But it did absorb and eliminate the damp thrush breeding ground that had infected his heels (without damaging the live tissue because it is not caustic.) Ultimately, the heels firmed up and he was able to plant his feet properly into the sand. Important Note. No Thrush powder is going to get rid of the sulcus thrush fairly quickly. BUT please don’t stop there. That heel crack is made by thrush. It should not exist. If you just stop treating as soon as things are firm, bacteria will head right back in there, keeping you forever in the “Thrush Cycle.” So keep dusting until that crack regrows. Take a look at the video or the photos at the No Thrush website. It is supposed to be a “Dimple” not a “Crack.” This regrowth will typically take 20-50 days, depending on the severity of the crack. Once you get back to the dimple, you will want to dust once a week for prevention. Thrush is not curable. A thrushy horse will always be susceptible. Another note: If you have been using caustic store-bought products, or things like bleach or peroxide to combat thrush, these products will kill live tissue as well as the bacteria. Please, please do not use these inside an open sulcus crack – and Definitely do not “soak” with anything caustic. If you do it can take many months for the deep tissue to recover and begin to grow back into the proper dimple. Here is an example: You would not willingly put your cut hand in a bucket of 10% bleach water every day. It will sting like mad, it will damage the tissue at the edge of your cut, and the result will be a jagged, ugly scar that looks like nubby proud flesh. Not good. “Why am I so stiff and sore today?! Yesterday we received an email from Frances, a Therapeutic Body Therapist in SoCal. Her comments about NATURAL RELEASE Muscle Wash are terrific, and they also give us a chance to discuss how and why we become sore and tight. Following Frances’s note, we have added some brief explanations about fascia, and its role in muscle soreness. Yes, we learned this in 9th grade biology, but I, for one, clearly need a reminder! 1. The fascia holds the muscle together and keeps it in the correct place. 2. The fascia separates the muscles so they can work independently of each other. 3. The fascia provides a lubricated surface so that the muscles can move smoothly against each other. As stated above; when improving flexibility is the goal, the muscles and their fascia should be the major focus of your flexibility training. When you are inactive for long periods of time, due to inactivity or injury, the muscle fascia starts to bind together. This prevents the muscles from moving freely against each other, and leads to a stiffness or tightness that limits normal range of motion and prevents freedom of movement. Regular stretching will help to keep your muscles and their fascia in good working order, and prevent your muscles and their fascia from seizing up. If you have read this far, here are a few suggestions that we at No Thrush have learned, and try our best to employ each day. They help! 2. If you spend your day at a desk, stand up and move at least every 30 minutes. (It’s easy to get lost behind a computer for hours at a time!) Do ten knee bends or 10 toe touches, or ten jumping jacks. Even walking to the mailbox will help. The added benefit is that your mind needs the same rest as your body. Science tells us that the maximum length of mental efficiency without a break is 90 minutes. For most of us in is less than a hour. After that our brainwaves falter, and we simply can not work at peak level. Okay, you should all be ready for a little stretch. Just Do It! Only available at this site. Will be in stores in the coming months. This site is the offiical site of FOUR OAKS FARM VENTURES, Inc, the makers of many international products since 2010. A fantastic and educational writeup about NO THRUSH below. I am looking forward to receiving my Release [Muscle Wash]. I have had such incredible results with No Thrush that I am pretty certain that I will see great results with Release as well. 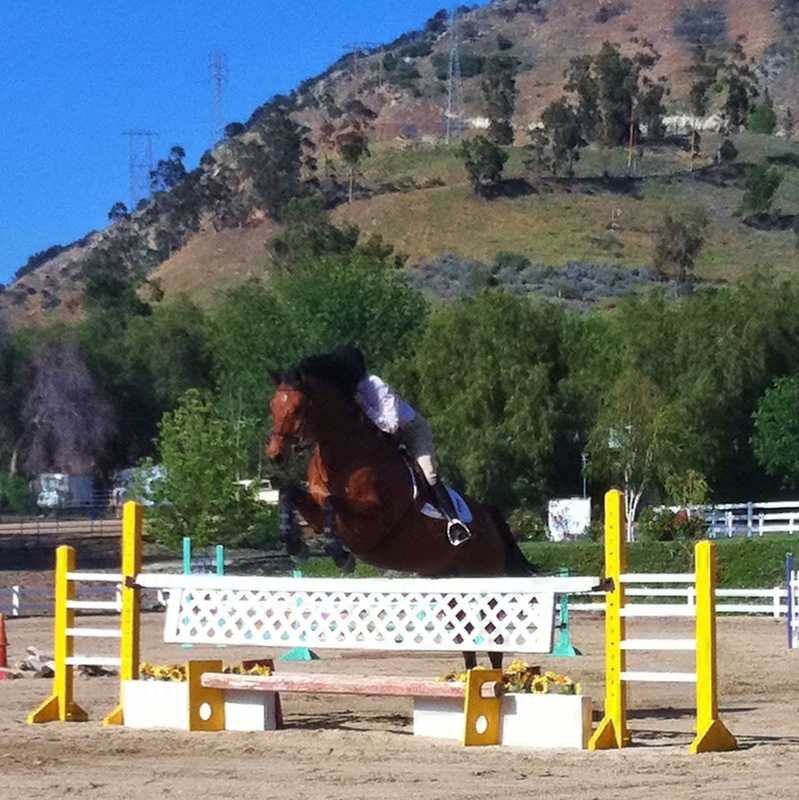 My gelding could have been the poster horse for No Thrush. When I purchased him in April of 2011 I had no idea that I was also buying the worst case of thrush I had encountered in almost 40 years of horse ownership. He also had the worst case of thrush that two farriers AND two vets had seen in their entire careers. The thrush had eaten his frog and was working hard on destroying his digital cushion in all four hooves. All of the experts agreed that my gelding would never be sound and that the best thing to do was euthanize him. I was not willing to give up. I had big plans for that horse! I tried almost every thrush product on the market and many homemade remedies that are not on the market. I battled that thrush for SEVEN long months. I would see a slight improvement, then he would be back to being lame. Picking his hooves became dangerous because his hooves were so sore. I learned that he was Insulin Resistant and that IR horses are prone to thrush. I changed his diet but the thrush continued. I was losing hope. Then one day I saw another boarder poofing some stuff on her gelding’s hooves. I asked her what it was and she told me it was this great stuff called “No Thrush.” I had seen the stuff somewhere online and had considered trying it, but didn’t because I had already spent HUNDREDS of dollars on other thrush remedies that did not work. She told me that if I ordered No Thrush and if I did not like it, she would buy whatever I had left in the bottle for what I paid for the full bottle. She would even reimburse me for shipping. I felt like I could not lose, so I ordered a bottle that night. I received my first bottle of No Thrush and really put it to the test the very first day. It was pouring down rain and my gelding was standing fetlock deep in yucky mud. I poofed his hooves like the video showed and left convinced that I had just wasted my time and money. The next day I thought differently. I picked his hooves and immediately noticed that his hooves did not smell foul. He did not seem so tender when I scraped the mud out of his hooves. Intrigued, I re-poofed his hooves that day. And the next day. And for the next couple of months. His frogs grew back. His lameness went away. Excited, I booted him with Renegade hoof boots and started riding him. I started training him. And I started competing him. I did several endurance rides and also some competitive trail rides. I did parades and obstacle competitions. I trail rode him thousands of miles over the next couple of years in seventeen different states. He won his very first ECTRA competitive trail ride! He became the Number Six NATRC (Novice Division) horse east of the Mississippi River! He became the Number Ten ACTHA (Pleasure Division) horse in the whole state of Alabama! And he did it all without taking a lame step due to painful thrush. Unfortunately, my gelding’s story stopped last summer. About four months ago he had a bizarre colic episode and had to be euthanized. And about a month after his death I acquired a little rescue mare. I did not know that she had a locked up sacrum when I got her. The chiropractors have done what she can and she is sound, but the little mare still has muscle spasms in her lower back and hip area. They say there is nothing they can do for the spasms. They say that the mare will likely be a pasture ornament for the rest of her life. They say that she will always have the spasms. I am going to see if Release can make a difference. And if it does, you will be the first to know! And if it doesn’t, then I can honestly say that I have tried everything worth trying. Thank you for reading. And thank you for giving my gelding a couple of good years of life. “TWO” Valuable NO THRUSH Pro Tips this month. (Scratches and a new topic: Clipping-Nicks). Obviously thrush is on a roll right now, but if you have been stopping in here, you you already know what to do about that. Meanwhile, we are getting a lot of calls this year about Scratches (AKA mud fever). It is best if you find scratches before it gets out of control, so run your hand down the fetlocks every few days and feel for bumps. Mudfever/scratches can hide underneath the thick winter coat. To use your NO THRUSH, just dust 1-2 times per day and “gently” rub into the hairline. Do not wash, and do not remove scabs. If you catch early, the scabs will fall off on their own in 3-5 days. To be safe, keep dusting every few days until the hair has regrown. No Thrush – PRO TIP – July 2015… “**Shedding Frog**” We received a private message from a woman whose horse was shedding its frog. The answer is valuable, so we thought we’d share to all…. While frog shedding is normal, if you have never experienced it, it can look scary. In fact, sometimes the entire V of the frog will shed at once, which really looks daunting. Usually thrush is the procuring cause of the shedding. Here is why: Thrush wants to invade and live deep inside the heel tissue, and of course you can’t see it or smell it because it is so deep. [This is why we preach so hard about eliminating the heel cracks and deep collateral grooves. These are bacteria access points.] — Anyway, when the thrush has run it course deep inside, this action can undermine the frog. However, when active thrush is present, the frog tissue will literally hang on for dear-life. The body does not want to allow it to shed because it is the only protection for the soft, tender, and vulnerable tissue underneath. …. So here is the No Thrush “tip.” —- If you see the frog begin to shed [ perhaps an edge, or even a big section looks to be dislodging and “flappy” under your hoof pick] get aggressive with your No Thrush dustings. Once per day is best. The powder will draw out the deep bacteria and breeding ground and take care of the “thrush” problem. If the thrush was severe, and the frog has been undermined, the rest of the frog may fully shed away. This is a good sign. This is the body’s way of breathing a sigh of relief. It no longer needs to fight the thrush, so the body allows the necrotic/dead tissue to fall away. But you are not quite done…. Keep using your NT every few days. This will help firm up that new tender tissue and allow it to regrow properly. No Thrush is not caustic, so it will not inhibit natural grow…. As the new frog continues to grow you can slowly back off. The A-to-Z timing will be based on the speed of your horse’s natural growth rate. [usually 20-50 days] No Thrush is not “making” the tissue grow, it is “allowing” it to grow. Meanwhile the powder is protecting the new/tender tissue from being invaded by a whole new round of thrush.